They stand mute in the small home office. To unfold the sleeper section, they moved a chair and a small end table. The bric-a-brac from the table rests atop a converted hutch, a precarious windowsill. Issue #2 soundtrack: Twin Tigers "Island"
His wife--now his ex--said it would be fine. He spent the night shifting his body to accommodate the crossbar hump that plagues every sleeper banished to the convertible. She came to see him that night. They sat in a restaurant, well-lighted and not expensive. Even then the pauses long between them. They finish making the bed. She picks up a throw pillow, clutches it to her chest. She stays a moment longer, moves a ceramic kitten left, then right. Picks up a small, hinged picture frame, sets it back down. “Well,” she says. She moves to set down the pillow, grips it, sets it on the made bed. How she must feel, he guesses, every gesture wasted and pointless. Hands after death always seeking purchase. He waits for her to speak again. Instead, she hunches her shoulders and moves fast from the room. That night he stares at the ceiling, the bar in his back a fist against his spine. He turns across the bed, below the steel bar. Too tall. Twice the frame’s according springs dig into his shins. He dresses in the dark. Dons his funeral suit and pale blue shirt, slightly wrinkled. He rolls his tie and tucks it in his jacket pocket, and then he shoves the clothes he wore for the drive into the suit bag. Slings the bag over his shoulder and creeps out of the house. Outside, the city lights reflect dusty orange from low clouds. A light, misting rain. He fumbles keys into the car lock, eases shut the door behind him. It isn’t far to the coast. Just two miles to the gaudy strip that hugs the shoreline. Denny’s and McDonald’s squat between high-rise hotels and lurid beach shops. Ugly towels, $2.99. He nodded, exited the quiet lobby. He drove on, pulled into parking lots, semicircular drives. Declined valet. No vacancy. He headed back, veered from the sea and drove familiar twisting streets shaded with transplanted oaks. He drove past club houses and gates and reached his ex-wife’s parents’ house, stunned by further complication. Ex-wife’s mother’s husband, dead. His ex opened the door, gaped at him. He told her mother on the phone he was coming. Doesn’t know if she ever told her daughter. The screen door shut between them. Her gray face behind the screen. He nearly turned back, back down the steps and into the driveway, but she opened the door. He slipped past. He followed her through the small, mostly neat house. She shuffled around, collected sheets from the closet near the bathroom. From the kitchen, the smell of potatoes, kielbasa and cheese. He drives the strip in silence. No radio. The intermittent wipers clear drizzle’s haze, and he enjoys the swish-thump as they drag across the glass and slide into place near the hood. Coffee on a cool night like this one. The convenience store plopped between arms of a condo complex. Two cars in the parking lot like weathered skiffs, rust stained and wallowing. Inside, he walks to the coffee carousel near the back, sniffs at carafes to find the freshest. Two girls walk into the convenience store. The carafe on the right-hand warmer seems least scalded. The girls giggle down the candy aisle. They are tan and beautiful. They saunter past the beer coolers, lithe legs in jeans. He lingers by the coffee, spends too long choosing a flavored creamer. His cheeks burn. The second visit, Theresa and her mother went to a fish fair or craft show. He and Robert drove to a place outside town for breakfast. From their booth they watched traffic pick up, scream west on I-10 from the scrub forest of Florida to the rich delta land of Louisiana. The restaurant smelled like rich, strong coffee and bacon. Pancakes and grilled steak. They ate and ate. He brought his coffee to his lips, set the cup in the wet ring on the table. The marriage and divorce lasted just over a year. The girls choose a twelve-pack, lug it to the counter. They touch collar bones, loop hair locks on index fingers. The counter boy rings their purchase and they search pockets, shamble out with shoulders slumped, tanned auras faintly dimmed. Todd pours half-n-half in his coffee and pays. Outside, a soft voice from the shadows. “Excuse me? Sir?” Sir. The word like loss. He turns to see the girls slink across the parking lot, their bright eyes expectant. For a moment he thinks they’re not so different. Ten years younger, maybe, but as they stand in the yellow light he knows he’s wrong. They dream of marriage, vision a white-dress day of dappled light. Dogwood petals drift from the sky. A honeymoon in Barbados. And after, when they return to lives, they will still see their friends on a weeknight. Meet for drinks and giggle their husband’s foibles. And when the evening is done they will hug goodbyes on porches well-lit, drive home through the quiet night and make love to their tender husbands. And here he is, this Sir, almost thirty and divorced already. “Back,” he says. They stare. “Sorry. Over there, where the guy can’t see.” The girls look at one another, walk backwards to the side of the parking lot. Todd collects their money, walks inside, buys a new twelve-pack. The beer is cold and the air is cold. The front finally arrived. He hands the beer and the change to the pretty one. “You don’t want to keep this?” She gazes at him, glances at the bills wadded in her delicate fist. “Why would I want it?” In his voice, an edge. “I have to get going.” He scuffs across the parking lot. The world around him swirls with wind, cigarette cellophane and a stray Styrofoam cup dance in small eddies. In the car he can hear his own breathing. The girls haul their beer across the street, walk west, up the strip. They huddle together, shoulder to shoulder, conspiring sculptures in tight, thin sweaters and low-slung jeans. He watches until he can’t, until they disappear behind the hotel’s west wing. He stops at the edge of the parking lot. To his right, the girls hurry along the far sidewalk, trade the twelve-pack at quick intervals. He’ll offer them a ride. He thinks it’s only right. The way the cold’s come in. They look at one another, blue eyes wide. He opens his mouth. A turn of the wrist, a flip of the hand. Then, “I’m here for a funeral.” A lone car speeds by, stereo blaring into the night. “My father-in-law.” He sees the two girls relax. Todd leads them to the car, unlocks the doors. He slides into the driver’s seat, and the girls get in back, both of them. They set the twelve-pack on the hump between them. Todd eases onto the main drag. The pretty one says, “It’s just up there. You can’t see the sign, but it’s there.” She leans forward and points, her arm across the back of his seat, inches from his shoulder. Her clean, warm scent drifts to him, her heat on his neck and cheek. And if he kissed her wrist? He closes his eyes, turns. “Right,” he says, sees the golden hairs on her arm move beneath his breath. The pretty one slides back in her seat, steals her scent and warmth. “Yes,” the pretty one says. “You’re going to cheer on your friends, right?” Conscious of his father’s voice. “Want to go to a funeral?” He tries to catch her eye in the rearview mirror. She sits pressed back in the seat. The pretty one presses her finger into Anna’s thigh. Todd pulls into the hotel parking lot. “Because of the beer,” Anna says. He wheels out of the guest drop-off and parks next to a dumpster not far from the hotel’s side doors. He sits, hands on the steering wheel. Doesn’t know whether to shut off the car, whether to get out and help them. The engine hums. Behind him, the girls whisper back and forth. Finally they reach for door handles. The dome light comes on. Todd blinks in the sudden bright. “Thanks,” the pretty one says. “Yeah, thank you,” Anna says. He watches the girls until they are inside, something he did on nights now long ago. Some just like this one. Low clouds, cold wind from the north, two girls and a twelve-pack. A Florida hotel pink like sunset. He backs the car out of the lot. Back on the road he drives through town, one end of the strip to the other. At the last collection of strip malls and gas stations, he stops at a flashing yellow light. The light hangs over the two-lane road and illuminates asphalt into the pine forest just ahead, yellow, then black. Yellow, then black. He peers off into the darkness and sees what his life’s become. Greg Turner earned an MFA from the University of Carolina at Wilmington and has had fiction accepted for publication by The Quarterly, Atlantis, Sotto Voce and various other online publications. He runs Kitchensojourn.com and previously founded/was the primary contributor to political blog IndependentReport.org. His non-fiction work has appeared on InsideMacGames.com and BuzzJive, and he recently finished a stint as a food columnist for Satellite Magazine. Greg lives in Gainesville, Florida, where he is revising a novel. 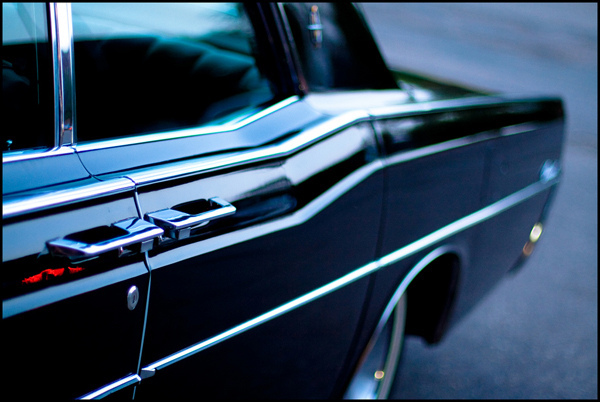 Ericka Bailie-Byrne is a street & fine art photographer living in Minneapolis, MN. Her work has appeared in various exhibits since 2006 & can be found in collections worldwide. She also creates pendants featuring her photographs, available for purchase in Minneapolis shops I Like You and Fast & Furless. A collection of her work can be viewed at ELBfoto.com. Twin Tigers hail from Athens, GA, formed in 2008 by co-workers at the Michael Stipe-owned Grit restaurant. The band toured nationwide with Minus the Bear and the Antlers in Fall 2009, and are scheduled to tour again with the Hold Steady this Summer. Twin Tigers’ debut album Gray Waves released via Brooklyn-based Old Flame Records in March. Visit them on Myspace.